We celebrated the diversity of Division Street be holding our annual Festival of Nations on September 16, 2018! Thank you to all our volunteers, sponsors, and all those who joined us. Over 1,500 community members joined us and 54 volunteers helped create a welcoming atmosphere. With the help of the community, sponsors, and vendors Division Midway Alliance raised over $15,000 to help cover the costs of the Festival. Within DMA’s Neighborhood Prosperity Initiative boundary, there is a diverse community and culture everywhere. 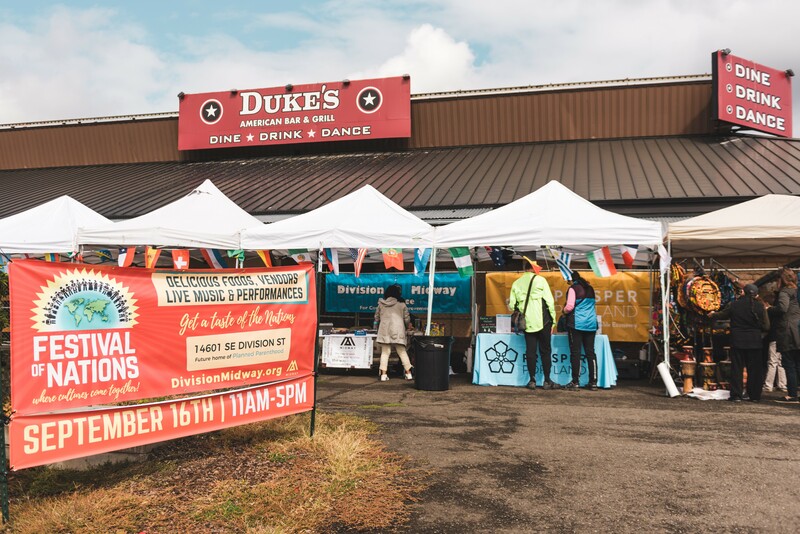 The Festival of Nations is one opportunity for communities to express their culture and for community members to learn more about their neighbors. This year’s Festival of nations saw 6 different cultural performances, and 67 unique vendors from across Portland. If you were not able to join us this year keep a look out for next years Festival of Nations!